Of the hundreds of artists, singers, producers and remixers that King Street has worked with over the past two decades, one duo in particular has embodied the label's soulful repertoire in the purest sense - the production duo of Kevin Hedge and Josh Milan, formerly known as Blaze. Having produced almost three dozen original productions, remixes as well as producing a critically acclaimed Keep Hope Alive, LIFEbeat AIDS Benefit compilation for King Street, these passionate fellows have sung and spoken, produced and played their way into your hearts and souls. They now join their house music brethren, Kerri Chandler, DJ Roland Clark, Frankie Feliciano, Mateo & Matos, Mood II Swing, and Cevin Fisher on this seventh compilation of the ‘House Legends’ series. 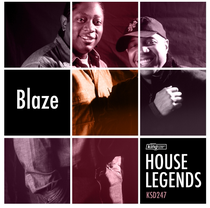 Containing 30 tunes, originals and remixes of some of Blaze's best works including classic originals such as Blaze & Palmer Brown's ‘Found Love’, ‘Jump 4 Luv’, ’Shine’, ‘Seasons Of Love’ and ‘We Are One’ as well as their remixes like Althea Mcqueen's ‘Changes’, 95 North feat. Sabrynaah Pope's ‘Hold On’, Stephanie Cooke & Kenny Bobien's ‘Love's Been Right Here’ and others. More recent remixes like Jephte Guillaume presents AK ‘Shining Your Way’, Studio Apartment feat. Blaze ‘The Rising Sun’, and the amazing Ananda Project mixes of ‘Breaking Down’ and ‘Falling for You’ can also be found. Out of all, the project that really put them on the map was the massive artist collaboration, the aforementioned ‘Keep Hope Alive’ album, best known for spawning the single ‘Most Precious Love’, featuring legendary vocalist Barbara Tucker, with lead remix by Dennis Ferrer that subsequently procured a #1 spot on Billboard's Hot Dance Music Club Play chart in 2005. That album also contained collabs with Dawn Tallman, Kenny Bobien, Joi Cardwell, Arnold Jarvis, Byron Stingily, Ultra Naté and are all revisited here. Blaze have since gone their separate ways, but are still keeping their hope and careers alive. Josh has gone solo doing various collabs with other producers and gigging worldwide, and Kevin Hedge still does various productions, and runs Roots with Louie Vega, the name of their weekly radio show on WBLS NYC, as well as the name of their residency at NYC hotspot Cielo which is one of, if not the, city's longest running soulful house weekly events. 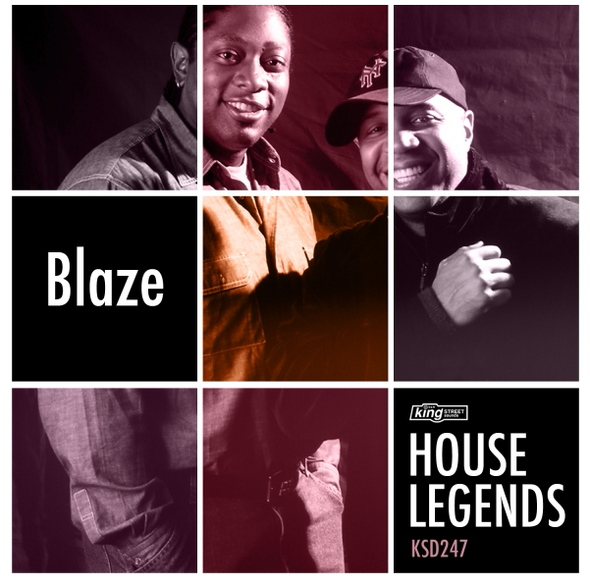 Having had a high impact on the scene as well as on the beloved house music genre itself, Blaze have surely done their part in carving a deep niche in house music history. This album is awesome, it’s out soon on the legendary King Street Sounds. If some one needs to be updated with most recent technologies then he must be pay a quick visit this web site and be up to date every day. Quality content is the main to interest the users to visit the site, that's what this web page is providing.